On our two roller adjustable grain mill we crush fairly loosely by setting the gap between the rollers to approximately 0.045" (1.14mm). This is close to the 0.039" default setting on the Barley Crusher. To adjust the gap size, feeler gauges are used. 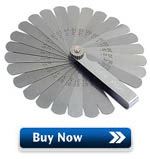 Feeler gauges are used by machinists and mechanists to measure gap sizes accurately. It is a stack of small pieces of metal in different thicknesses. They are bound together, and marked for thickness. Ours goes from 0.0015" up to 0.025" and only cost about $5 USD. To achieve our 0.045" gap we stack the adjacent 0.022" and 0.023" blades together. Simple! 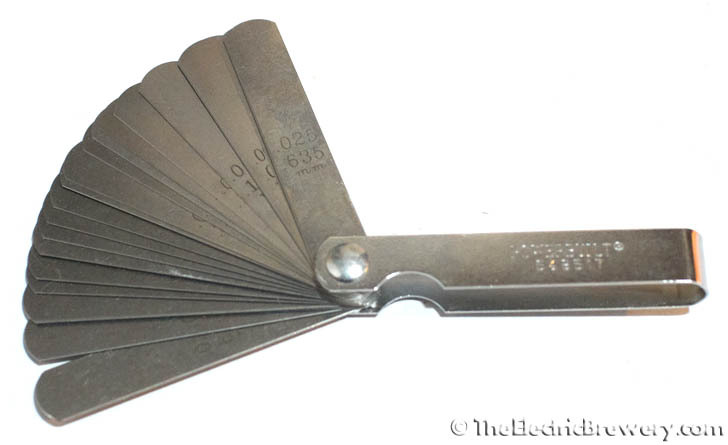 The feeler gauge blades should fit into the gap between the rollers with a minimal amount of force, and should not be crushed in the gap. Try to adjust the gap on both ends of the roller to be the same. If you can't fit the blades between the rollers, make the gap wider following the adjustment instructions that came with the mill. If the blades fit loosely, make the gap narrower. Some brewers may find our 0.045" gap size to be fairly "loose" and prefer to go tighter (smaller gap). As mentioned earlier, with a recirculating system such as ours a coarser crush is recommended. A fine crush is not required and may actually be detrimental to the sugar extraction process as it impedes fluid flow. 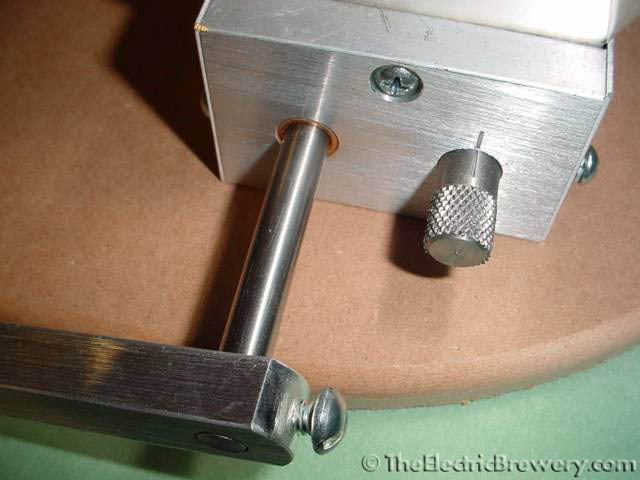 Our Electric Brewery achieves high efficiency even with this 0.045" gap setting. 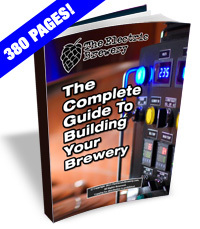 We feel this helps avoid issues such as stuck sparges which can be problematic with some beer styles. Some grains, such as wheat, do not have a husk so the total amount of grain husks used to form the natural filter bed in the Mash/Lauter Tun is greatly reduced when wheat beers are brewed as they typically include 60-70% wheat. To avoild stuck sparges, some brewers will add rice hulls at a rate of 20:1 wheat to rice hull ratio to compensate. Rice hulls are the tasteless outside part of the rice grain that is discarded before rice is packaged for consumption. On some brewing setups rice hulls must be used to avoid 'stuck sparges'. Not required in our Electric Brewery. 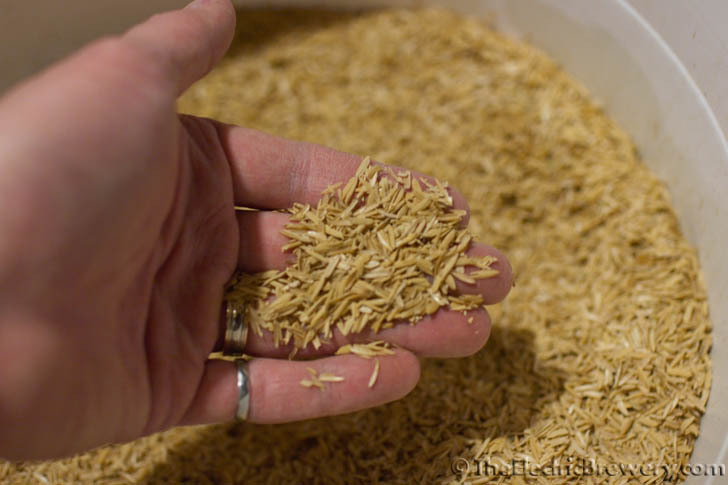 With our setup however we never need to bother with rice hulls when producing beers such as American Wheat or German Hefeweizen which can include up to 60-70% wheat. Recirculation and sparging still works extremely well on our setup due to the well designed Blichmann false bottom in the Mash/Lauter Tun and the fact that we crush our grain fairly coarsely. We find rice hulls dirty and a pain to deal with so we prefer to never have to use them. We never adjust the gap spacing between batches. The same 0.045" gap is always used. Generally speaking it is not necessary to change the gap. Most grain will crush just fine using the same gap. Of course, feel free to experiment any way you like. In order to achieve reasonable efficiencies on some setups, brewers are required to set their mill gaps fairly small (often as tight as 0.019"). Doing so can significantly increase the efficiency on some setups but also produces considerably more shredded husks. To combat this some brewers will sometimes 'condition' their grain with moisture before it's milled by spraying it lightly with water. This makes the husk more pliable which results in less shredded husk pieces even at a very tight mill setting. Given that our Electric Brewery achieves high efficiency at a fairly wide gap setting, which in turn minimizes husk shredding, there is no point in malt conditioning on our setup.